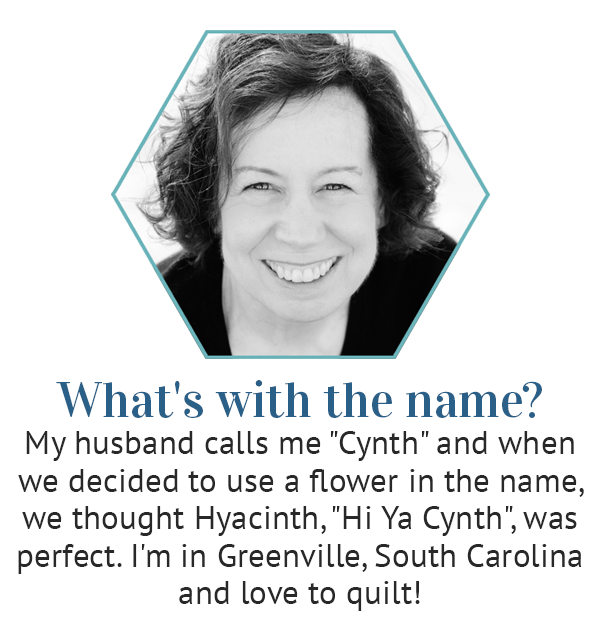 Hyacinth Quilt Designs: Thank you Redbird Bee! Thank you to Gina, Kelly, Rene, Toni, Carolyn, Hanna, Linda, Nancy, Miss Nancy, Kyndra and Tess. The girls of the Redbird Bee made my blocks and I couldn't be happier with them! The block is one I used in the cover quilt of my first book, Gathered From the Garden, called Garden of Eden. I love the design and always knew I had to make a quilt using it some day. 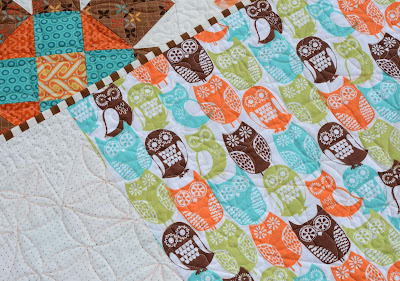 I found this cute owl fabric at our local store, Fabric Nosherie and thought it would make a perfect backing. Don't you think? The binding is a brown stripe I've had stashed for a while - and I'm glad I did. It sure works here! Just beautiful! I love the design, colors and quilting! I LOVE this quilt! The colors, the block design, the white - LOVE IT! for finding some wonderful quilty friends to team up with! 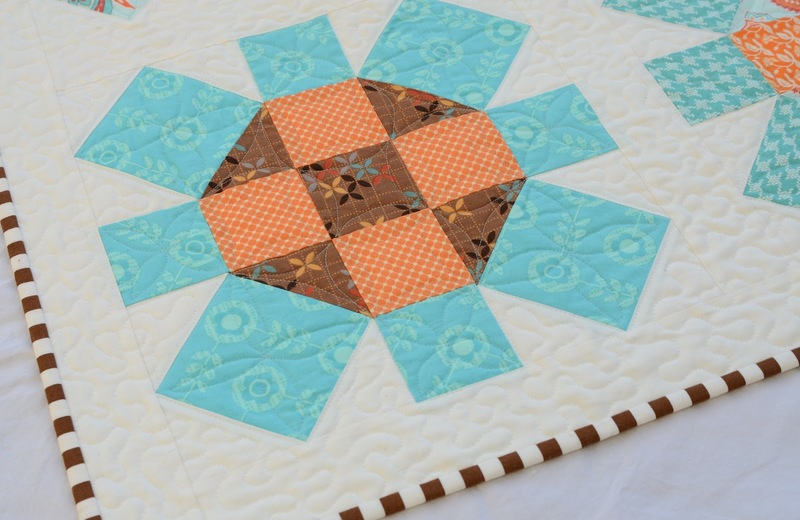 Your quilt is beautiful!! That is so nice that everybody made such great blocks! Yes, I see it there on the cover! 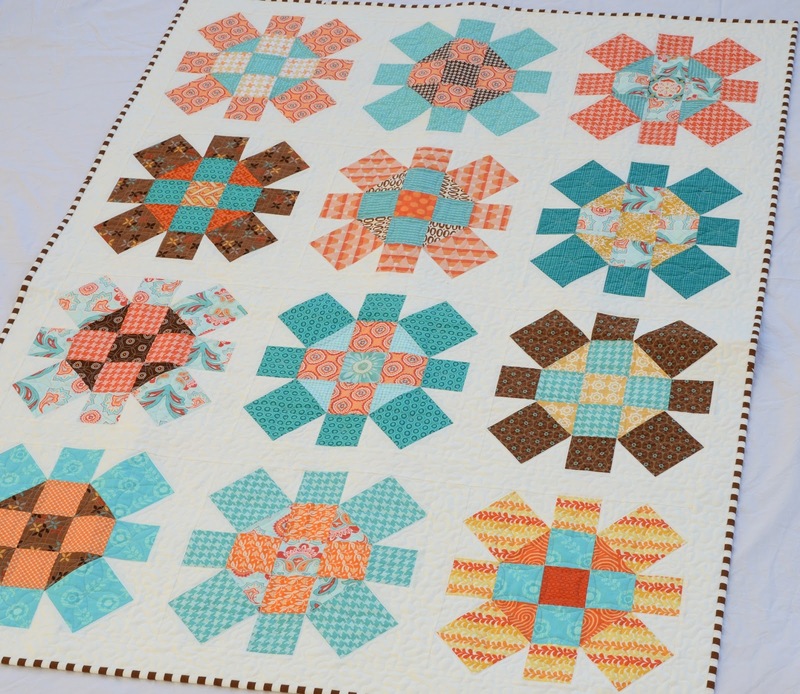 I sure love the colors...wonderful quilt! Well done on the bee quilt! It looks lovely and the binding is perfect! 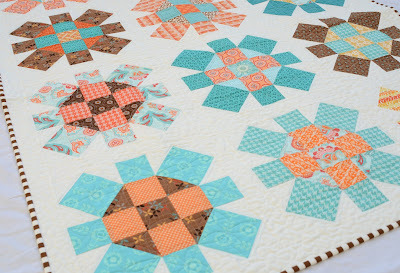 I am an orange lover so this quilt is exactly what I would pick if I were talented enough to pick it! Thanks for the eye candy. Great finish. It turned out stunning! I love our bee! Beautiful quilt. You have great taste and wonderful bee friends. Love, Love, Love It!! Gorgeous colour palette!! Well Done, so beautiful!! it's such a pretty quilt! And your quilting! LOVE! Stunning, just stunning! 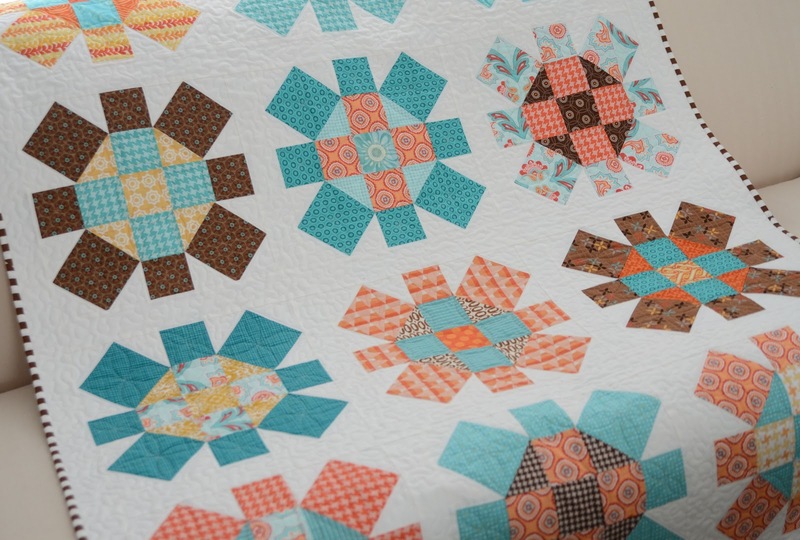 The backing fabric is perfect for the quilt and the color palette. Well done! What a great quilt, I love it. Nice backing and binding choices!